At the time of writing, the world's news media are all abuzz with the ongoing emergency at the Fukushima Dai-ichi nuclear power plant in Japan, where workers are still struggling to bring the damaged reactors under control. 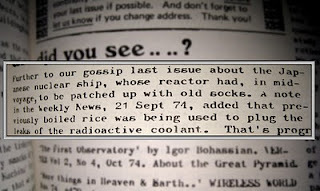 However, Japanese reactor accidents are nothing new, as the clipping on the left shows. Paul Jackson came across this item as he was reading the first volume of Fortean Times back-issues (this particular excerpt is from Issue 9, dating from April 1975... way back in the days when the title of the magazine was simply The News). The item reads (and perhaps there is a lesson here for the authorities at Fukushima): "Further to our gossip last issue about the Japanese nuclear ship, whose reactor had, in mid-voyage, to be patched up with old socks. 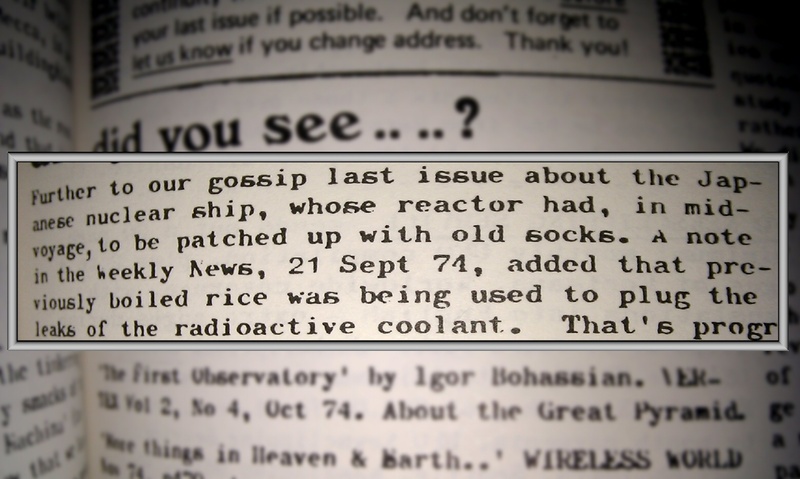 A note in the Weekly News, 21 Sept 1974, added that previously boiled rice was being used to plug the leaks of the radioactive coolant. 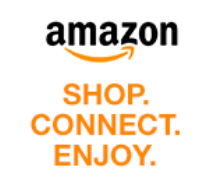 That's progress."